The Short Version: As critics we should attempt to maintain a modicum of common sense if not internal consistency in our evaluation. 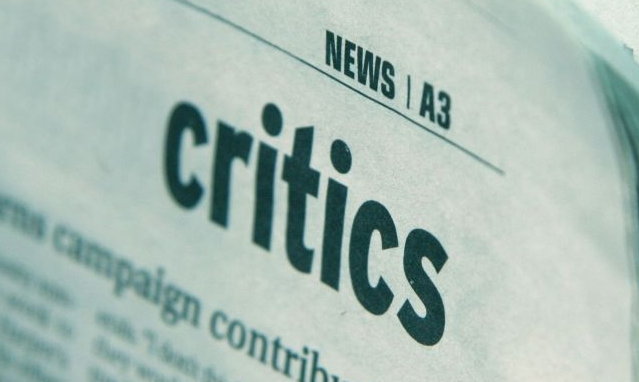 The Long Version: One of the first things that I was told when I started writing reviews is that critics don’t criticize other critics. It’s just not done. The general consensus seems to be that in criticising ourselves we become the snake that eats its own tail. Our words will somehow become less relevant if we use our public voice to hold our peers to the same standards of performance that we do movies, books, games et cetera. However, I think that precept is built upon the misconception that criticism is an act of educated opinion rather than an act of evaluation that can be, and ought to be, easily quantified. Rather than constructing a theoretical framework for criticism, an act which would no doubt drive away more readers than it would attract, I’m going to recap two recent examples of criticism that illustrate a dire need for more thought and less opinion in cultural criticism. Frame rate issues speak directly to the ability of the game engine to render sprites with a baseline of consistency. If there are enough frame rate drops as to merit putting a black mark against the game in the preamble, then the game can’t possibly be perfect. Even a half-educated reader will look at such an incongruity and assume that Bethesda paid the publication in question to write a glowing review, or that the author of the review is so blinded by their love for the franchise that they can’t reconcile what they want the game to be against what it is. Example 2: Movie reviews of The Immortals and J. Edgar. A well-known Canadian film critic considered The Immortals and J. Edgar as both worthy of “3 stars”. Well and good except for the way in which he justified both movies. In his words, J. Edgar ought to have focused on a single event in Mr. Hoover’s life rather than aging Leonardo DiCaprio through fifty years. The critic also said that the makeup job on DiCaprio was outstanding but sub-par on the supporting cast. He wrapped up his evaluation by saying that we should expect an Oscar nomination for DiCaprio’s performance. On The Immortals, the critic said that it was a visually stunning picture but utterly devoid of any story. He said that the people playing the Olympian gods looked like a bunch of kids preparing for a night out at the club. That was the extent of his qualifications for a 3 star review: very pretty but stupid, very stupid. I don’t want to get crass with things here, but if a movie is going to get three stars just because it is pretty, I had best leave the theatre with a marked desire for a cigarette and some spooning. How the hell does a professional critic justify putting a movie that has Oscar worthy acting in the exact same category as sword and sandal puff piece without any observable plot? It boggles the mind. Turning to the question at hand, why am I complaining about this? Primarily because weak sauce criticism from the big boys makes me look bad by association. The aforementioned incidents make critics and reviewers look like either incredulous and unthinking PR instruments or morbidly stupid fan boys who can’t divine when a product is flawed. That said, where is the harm in a little internal oversight? Are critics so thin skinned that they can’t accept a bit of the feedback that they dole out on a regular basis? Gods know my readers have called me out from time to time, and I for one enjoy not only the dialogue but the motivation to justify what I am saying in a quantifiable fashion. Contrary to what some believe, there is no divine right of criticism. It is a responsible relationship between critic and reader wherein the latter extends a measure of trust to the words of the former. The expectation is that the former won’t use their position to forward anything other than a thoughtful argument. I know that one editorial-ish rant form one obscure writer isn’t going to change the reality of the entertainment industry wherein critics can become PR flunkies. Life will go on as usual, and I’ll grumble about it to those unfortunate few who remain within earshot. Be that as it may, this code of silence among reviewers and critics does nothing other than to further isolate us from the very people we are trying to serve. Let’s not hide behind arbitrary degrees of professionalism and inaccessibility when it is painfully obvious that some among us are making stupid mistakes. Adam I think it’s official, common sense, consistent thought, critical judgement, reason and rationality are either dead or terminally ill. I really and truly believe that the disease is what I’m going to start calling “facebook discourse”. (Of course, that word ‘discourse’ might be too intellectual for the poor unfortunate sufferers of the disease.) On a happier note, I am pleased to see in your rant a voice calling out for for some sort of cure for this disease. That said, calling it a ‘rant’ might soften the blow for those who suffer this disease, but might it diminish the seriousness of the message? I guess the spoon full of sugar might help the medicine go down. I’d argue that, to borrow your metaphor, it’s a disease where those infected don’t know that they are sick. That said, if I called it an essay it would sound too much like school and nobody would read it. If I called it an editorial some troll would accuse me of acting like a self-important ponce. Discourse gets filed in the same category as essay. A poverty of applicable, but suitably accessible, language gets the better of me wherein I just call it a rant and hope that the message gets through.